AIRCRAFT IN PROFILE - VOLUME 14. Cain, Charles W (Editor). Profile Publications , 1975. 1st Edition. ISBN: 0853830231. 160 pages. 630g. Blue cloth boards FINE in a Near FINE d/w with some internal browning to top edge. Illustrated with 250 b/w photographs plus 80 colour drawings. 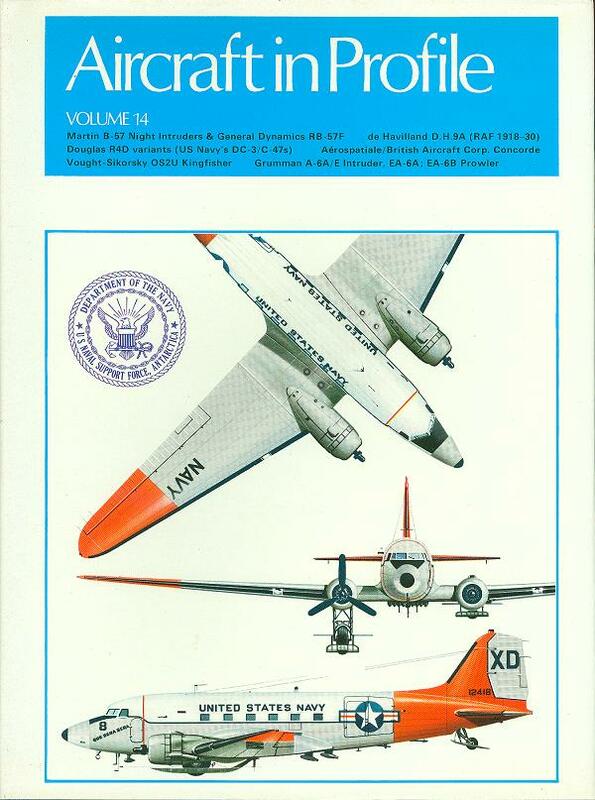 One of a sereis of books that contains detailed profiles of the aircraft from the 1920's to the 1970's.